I was so excited yesterday when I saw that the Annie Smith of the Quilting Stash podcast talked about my blog and linked it on her website! Thanks, Annie! She talked about my "Made in 2007" collage and I should have done this in the first place, but that post was inspired by Kristi at Lost and Found. I've been reading Kristi's blog for a while, and ought to get to know her better because I'm good friends (in the real life, down the street way) with her sister (who ought to get her own blog one of these days). Kristi has great vintage and thrifted finds and seems to be a very accomplished mom, always doing lots of great activities and projects with her kids. Also I need to mention Jan here, the Creative Instigator. Jan is another real world person in my life; she works with my husband and I'm glad I've been able to get to know her. I love the creativity tips at Jan's blog. I love today's tip--when you want to apologize for something you've made, say "It's fairly new, but it smacks of genius." Can we come up with something like this for the housekeeping apology? I really want to stop apologizing for my house when my friends come over. Hi Vicki- thanks for the link love!!! I always enjoy reading your blog too- I love seeing all the fun things you sew! My sister is lucky to have such a great resource and friend, right down the street! And yes, she should get her own blog, shouldn't she!! 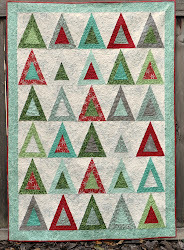 Vicki, that's so cool about the Quilting Stash link to your blog! I just got my first comment from a blog reader who wasn't a relative or a friend, and I was excited about that! And thanks for your sweet words -- getting to know you and your hubby has been a gift!